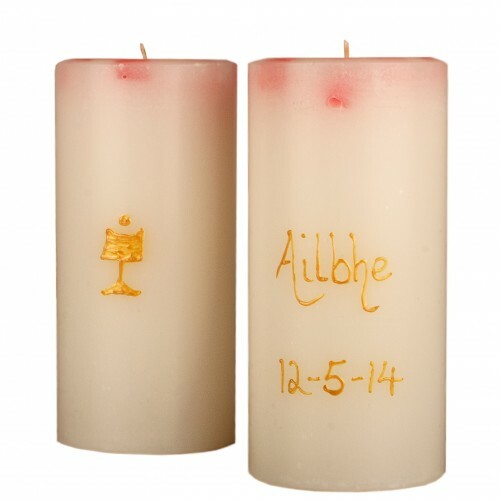 Hand engraved communion and confirmation candles. White with a hint of of either pink or blue. 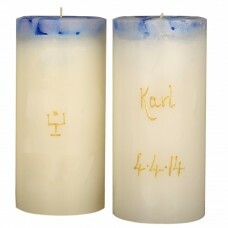 Personalised with name and date in gold wax. 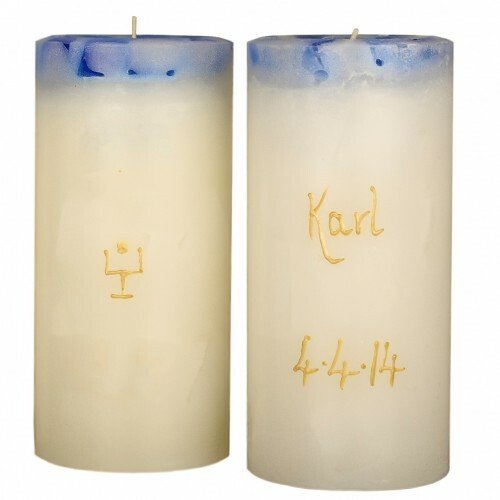 *Please note there is a 2 week lead time on all personalised sets.